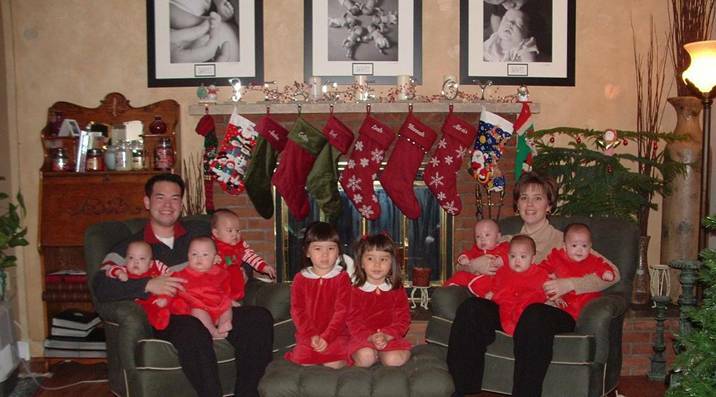 Jon and Kate plus 8 kids. 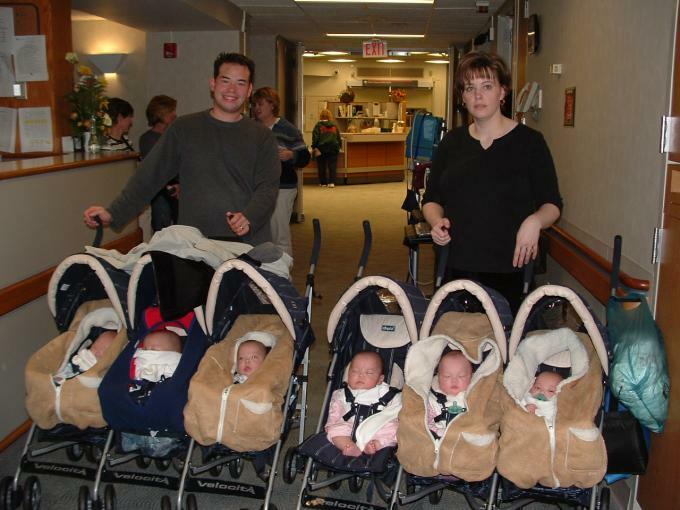 This is rare event having 6 babies after a twin daughters. Read here complete story of a couple till the divorce. Kate is one of five children, she has three sisters and a brother. Jon is the middle child of three boys. The couple met on October 5, 1997 at a picnic and they were married on June 12, 1999. The Gosselins’ desire to start a family was impeded by infertility. Kate underwent medical testing and was diagnosed with polycystic ovary syndrome. The couple then turned to fertility treatments. 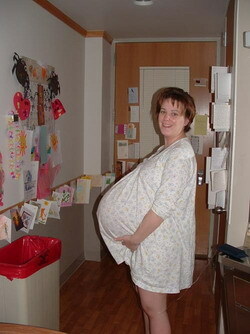 In February 2000, Kate became pregnant with twins. Cara Nicole was born six minutes before her sister Madelyn Kate on October 8, 2000. They began thinking of having another child and, according to Kate, a biracial infant of a teenage girl name Jamie became available to adopt while Kate was an obstetrics nurse. They decided not to adopt baby Jeremiah, as he was later named, but instead returned to fertility treatment. In October 2003, Kate became pregnant again. Five weeks later, (after being hospitalized for over-stimulated ovaries) at the initial ultrasound, the doctor announced that there were six sacs with seven yolks (embryos). According to Kate, this was emotional news for them. The doctor suggested selective reduction, but the couple was strongly against it. 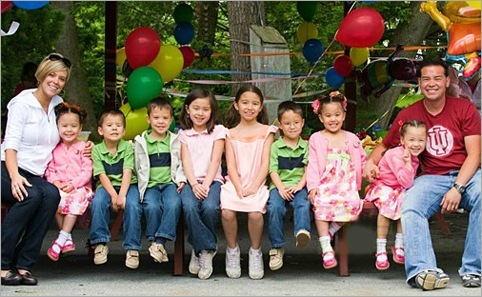 The sextuplets were born on May 10, 2004 at Penn State Milton S. Hershey Medical Center in Hershey, Pennsylvania. All six children were delivered via C-section within a span of three minutes with more than fifty doctors, nurses and other specialists involved. 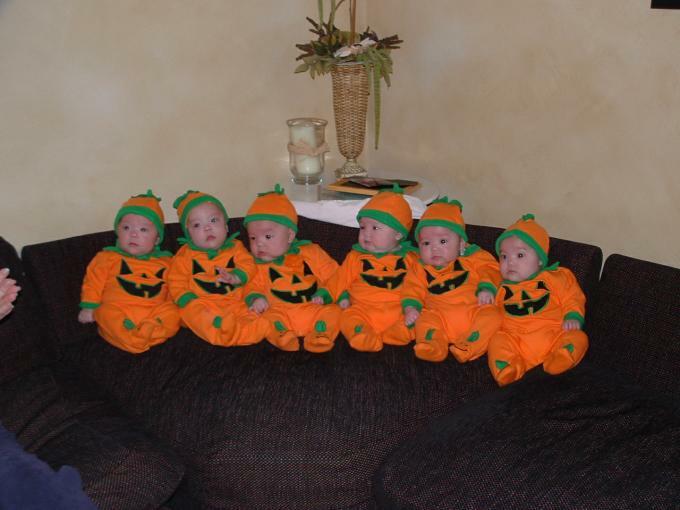 Because the sextuplets were born in Hershey, they were called “Hershey’s Kisses” by the nurses and doctors who delivered them. In late 2008, the family moved from their Elizabethtown, Pennsylvania home to a larger residence in Lower Heidelberg Township, Pennsylvania. 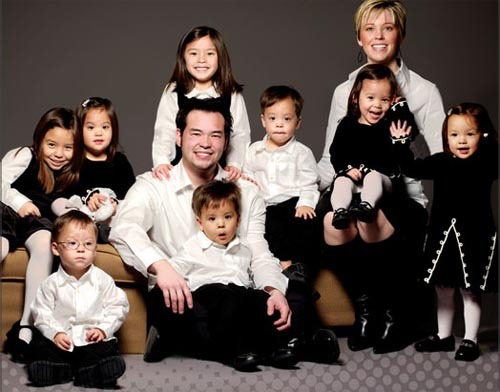 Kate Plus 8 (formerly known as Jon & Kate Plus Eight and stylized on the title card as Jon & Kate Plus Ei8ht) is a reality television show produced in the United States by Figure 8 Films about the Gosselin family, consisting of parents Jon and Kate and their eight children: fraternal twins and sextuplets. The show follows the family through their daily lives, focusing on the challenges of raising multiple children. The show originally aired on Discovery Health, but then aired on TLC for Seasons 3-5. The show was one of the highest rated programs on TLC during its run, with the fifth season premiere seen by a record 9.8 million viewers, the most watched show of that evening including broadcast television, twice as many viewers as the show’s previous series high. 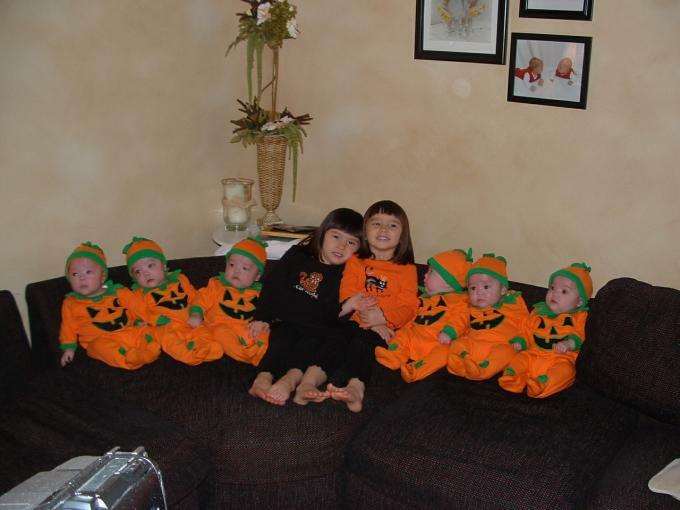 The family originally appeared in two one-hour specials titled Surviving Sextuplets and Twins and Sextuplets and Twins: One Year Later. In April 2009, it was reported that Jon was having an affair after he was spotted late one night with various women and leaving with one of them. The couple has denied these allegations, saying the woman Jon left with was just a friend. However, the woman’s brother insists that she was romantically involved with Jon. This is supported by the existence of video and photographs of Jon with a woman named Deanna Hummel. Kate has also been accused of having a personal relationship with one of her bodyguards, Steve Neild. Kate has denied the allegations, stating that she requires a bodyguard for protection. Kate has said these issues will be addressed throughout the fifth season of their show. In the season premiere, the incident was addressed by both Jon and Kate. Throughout the episode, they stated they are devoted to their children and vehemently rejected the cheating allegations, but agreed that they are unsure about where their relationship is headed. On June 22, 2009, legal proceedings were initiated in Pennsylvania to dissolve the ten-year marriage of Jon and Kate Gosselin. The episode announcing their separation became the most watched episode of the series, with 10.6 million viewers. Since the announcement of Jon and Kate’s separation, the show has experienced a decrease in ratings. The final episode aired November 23, 2009. It was announced on December 18, 2009 that their divorce was finalized.